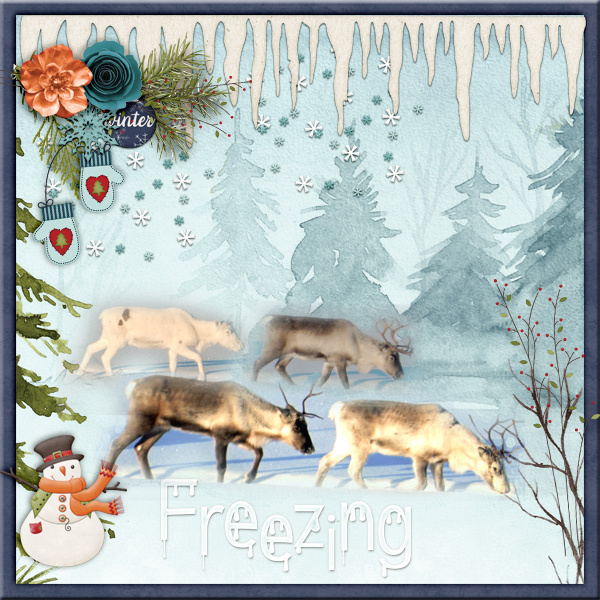 Created with GingerBread Ladies Collab Freezing. Magical, Pia! Your blending of real beasts w tree ellies is perfection. The icy rim so good, and the foreground ellies add such depth. 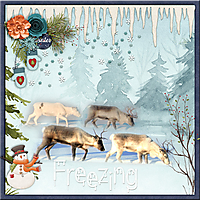 I love how you blended the picture of the deer with the painted trees and the icicles hanging down from the top. Wonderful piece of art!